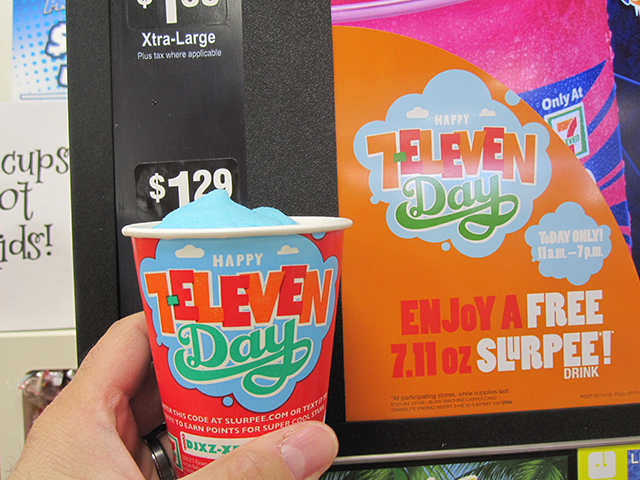 From 11am to 7pm today, you can get a free 7.11 oz size Slurpee. 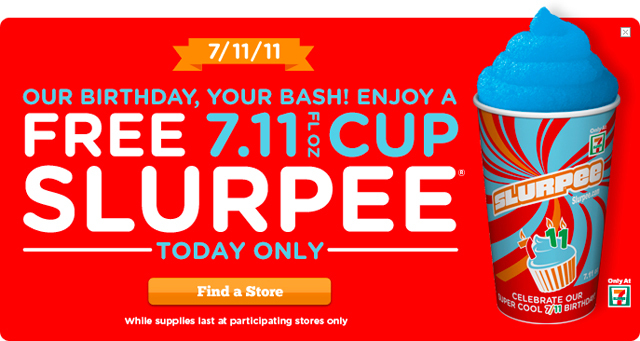 But head in early since most locations run out of cups to serve these free Slurpees. Check out the official page for all of the deals and details for today’s celebration. I’ve been doing this for several years now, first blogging about it last year over at Chillywilly.org. 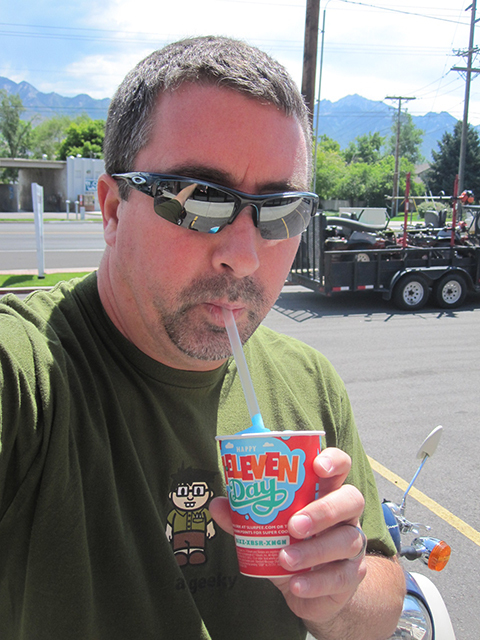 I get excited for this day not just because you get a free Slurpee, but it’s just a cool thing – 7/11… July 11th…. 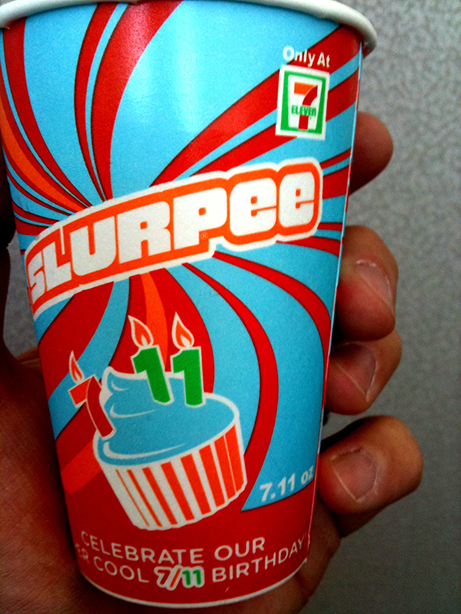 7-Eleven… a geek thing. 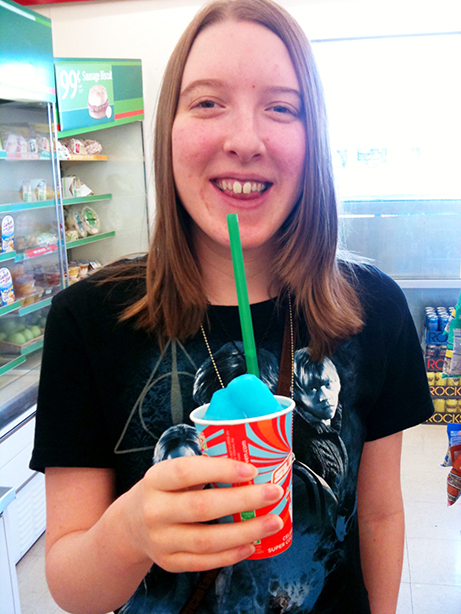 I mixed a pina colada and a blue raspberry. So good, cold and refreshing. And that’s all she wrote for this year. Can’t wait for 2013.